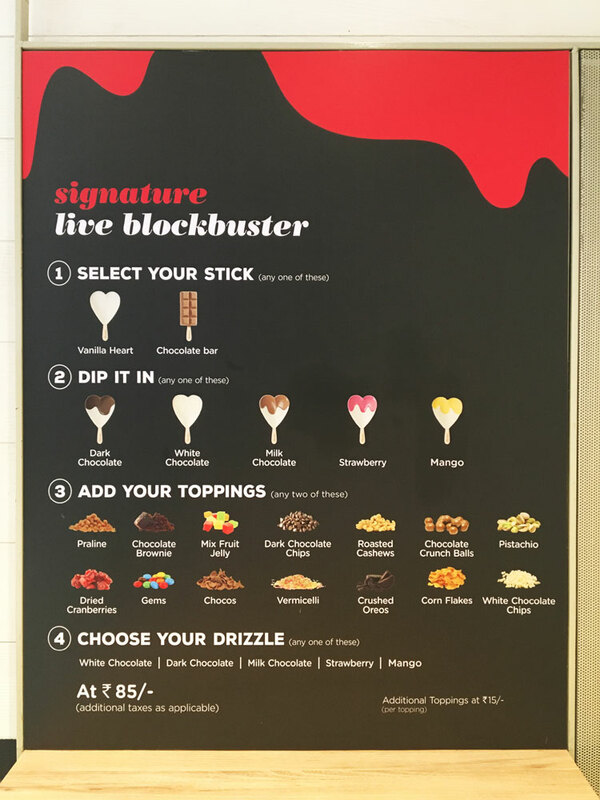 Did you know how delicious Havmor ice cream is? 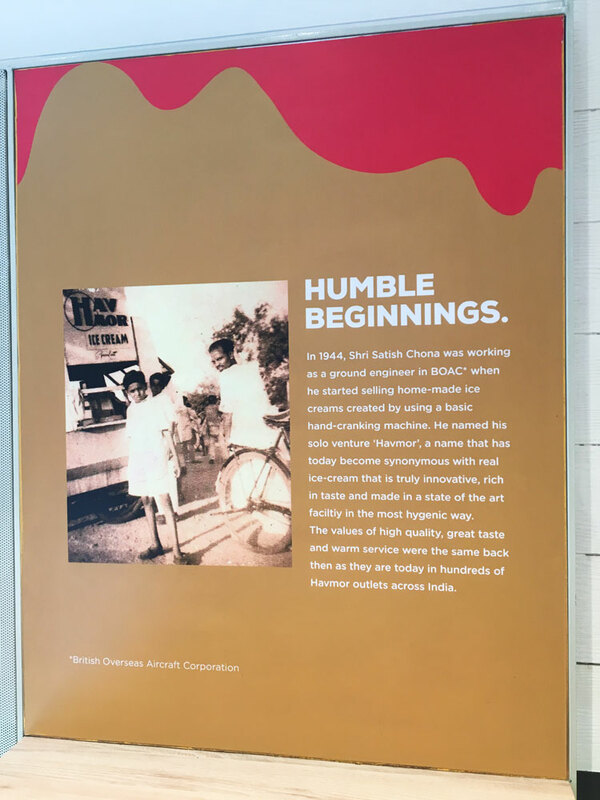 For those looking for local Indian ice cream that packs a punch, give it a try. 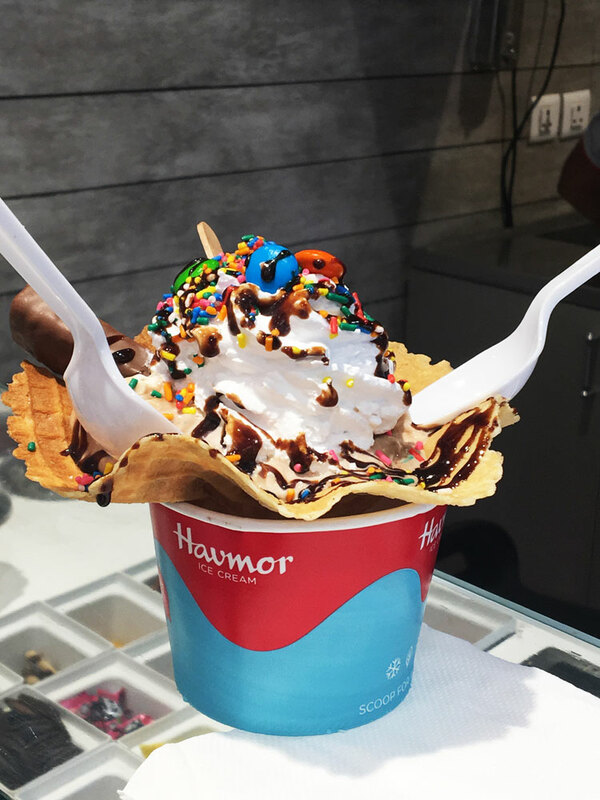 Havmor is pure milk based ice cream (not to be confused with frozen desserts) with rich creamy texture and real nuts and fruits or both, as the case may be. 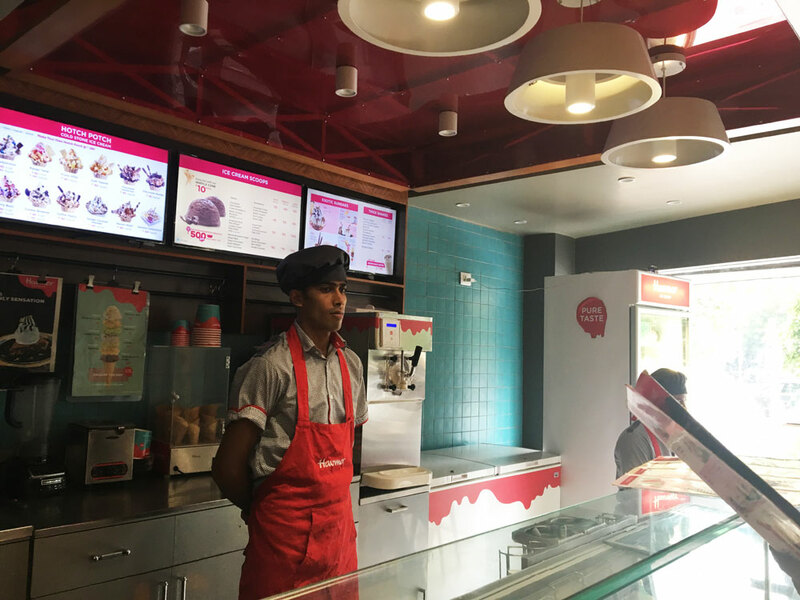 The scoops are generous, as I like them to be, and service friendly. You can keep tasting as many flavours as you want. The Pista Malai I ordered this time was rich and full of chopped pistas, with no overt taste of synthetic flavouring most other places use. The other scoop was Lonavali, which is full of caramalised nuts, similar to butterscotch but not quite as sweet. I for one prefer it to Naturals which I find has lost its quality since my first taste of it in what was Bombay then. They also have interesting concepts like a customised stick bar. Havmor claim to have whipped a dessert for Bill Clinton, but frankly I don’t care, it would still be my current favourite ice cream in town even if they hadn’t. All I can say is that Havmor ice cream is smooth, creamy, and the flavours taste real. I recommend it highly if like me you’re sick of paying through your nose for a scoop of ice cream. 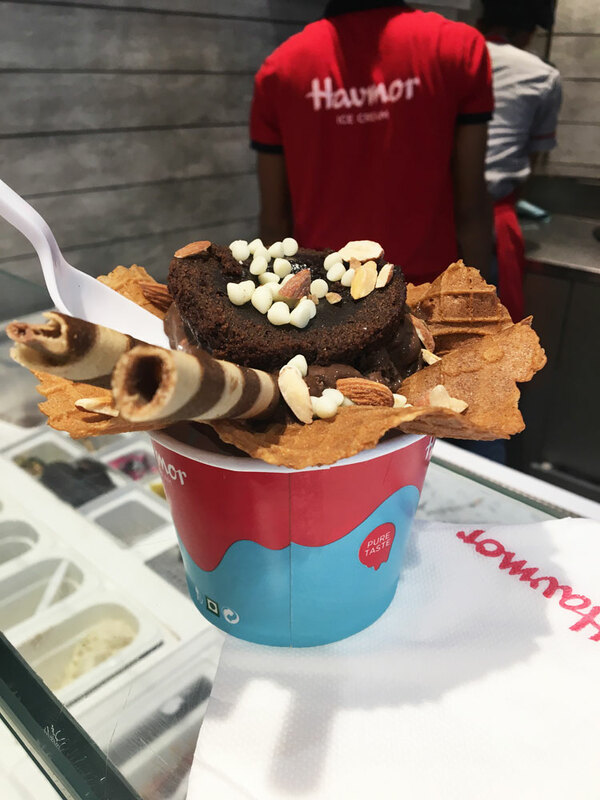 Here, you can be creative with flavours and create a combination of your choice or go with their menu of (delicious) cold stone sundaes. The one top is the ‘Candylicious’, and below is the ‘Chocolate Murder’. You’ll just have to visit the parlour to find out what they’re made of. 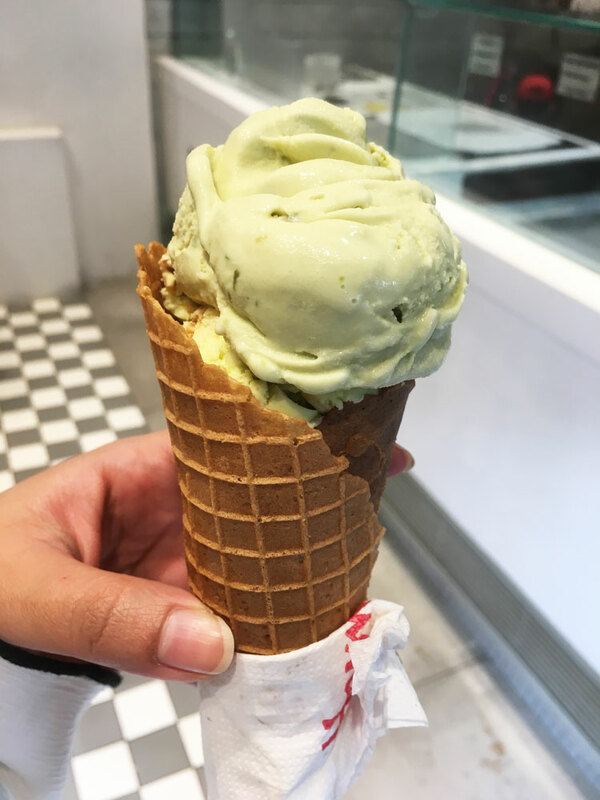 Havmor ticks all the boxes – generous scoops, tasty flavours and well priced. What more do you need? 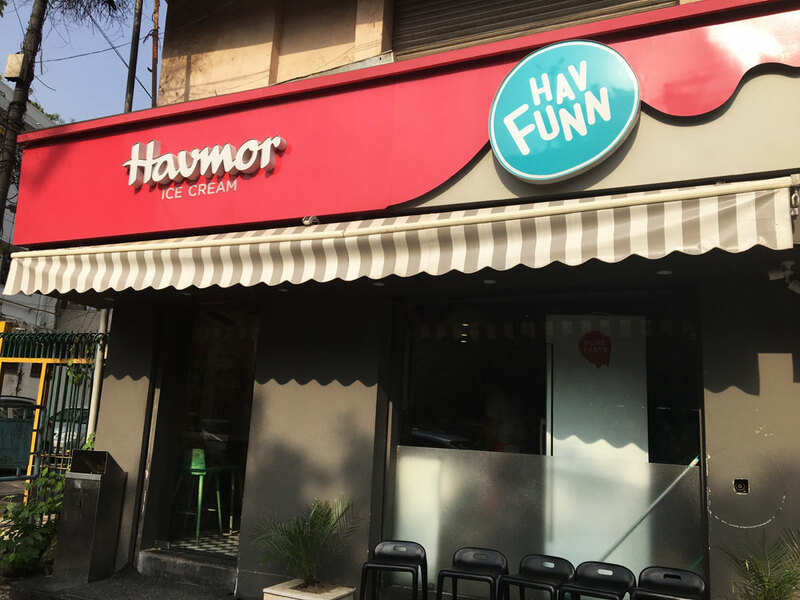 Havmor Ice Cream, G1 Hauz Khas, Aurobindo Road, Opposite Aurobindo Place Market.